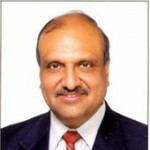 Partap K Aggarwal Founded IDS Infotech in 1989. He was working for some time in the US and decided to come to India. He understood the cost arbitrage model that India can offer and decided to start an IT software services firm. He started his software services firm in Chandigarh where at that time no one wanted to come to Punjab to do business, There was no VC ecosystem those days and he had to borrow money from his family members and friends. He had lots of expertise in managing software development projects and decided to build capacity in that space. He formed a small core team to start with .The team identified that several industries suffer a lot from information leakage in multiple systems and developed some solutions in real time to solve the problems. He had experienced situations where no gas station owner knows how much gas is stolen and no one in the oil mills had an idea on how to make the correct estimation of stocks in silos for preparing correct balance sheet. Hence his initial solution was to provide an healthy and an exact picture using a real time software. He hired his initial team who could write code on any Micro Processor, 8051 and can build applications. They went to the gas stations, oil mills, and the cash register markets with this past experience and spoke to them about how this team can solve the existing problems. The customers however, expected something different. They did not get excited with the solutions because these were problems they had learnt to live with. They were much bothered about the day to day problems. They got sold on the domain understanding Partap had and got convinced that his team can deliver. They asked for simpler applications like payroll, inventory and MIS on PCs. Then came in a 6 FTEs on-site opportunity in USA and that was the jump start for IDS. Partap used this opportunity to meet with the other companies and kept getting multiple opportunities. He did try selling in the Indian market in the early days but decided not to pursue because of the long decision cycles and payment collection issues providing neither value nor profits to him. Reaching out to the US market in those days was not easy. There was no way to find out the names of the buyers, their phone numbers and their email ids etc. They searched long and hard on multiple companies, went to the yellow pages/directories and collected their fax numbers. They made a good looking document, printed it and faxed it to the generic fax numbers of 50 companies at each point in time and sought out appointments with the IT Heads. The quality of faxes never use to come out well but that was the only way he could reach out. He had to wait for responses acknowledging the receipt and expressing interest in the meeting. After a few weeks of constant faxing and changing messages, he finally got a meeting with Philips in Austria and also a couple of other meetings in Scandinavia. He also had one Sales Consultant working with him. Keeping the three meetings as anchor meetings, he along with the sales consultant took their first bet and met their friends & family members to get some other meetings. The conversion ratios were pretty good with this model. Partap continued this model and says that they never did any cold calling until recent times and t always had some referencability to the person they met with. The first trip to Austria was memorable. They met someone who had multiple businesses but did not have an immediate need. The prospect liked them and gave them a connect to someone in Stockholm, Sweden. This trip was not factored in their budget and they did not have enough money to travel. They borrowed the money from someone to buy tickets and set up the meeting with the reference prospect and pitched. After the first meeting, the prospect was impressed and said that something might come up soon and asked them to stay in touch. He also said that he will be attending a conference in Goa, India shortly. Remembering the date, the sales consultant showed up in front of the customer in Goa and they met him again in his hotel and got the prospect to visit Chandigarh. There were lots of objections that was running in the prospects mind. The scope of the project was in Naval Architecture Design and hence the main objection was that IDS had no knowledge in their domain (Shipping) and Chandigarh had no shipping ecosystem. Partap and team convinced the prospect that they can hire the people with experience in the domain. The second objection was that he wanted them to get the Infrastructure ready as they were under-capitalized and looked like new guys. Partap had to convince the customer to pay the advance to set the infrastructure running as it was an expensive setup. The customer contributed by paying as advance. For executing this project, they hired people from IIT’s and other reputed institutes and built a team of 25. This project ran for almost 5 years. IDS has diversified into multiple verticals today. Partap says that all these diversifications have been an aspect of the clients giving them an opportunity which they capitalized on. He quotes an example of Legal, where they were doing a lot of work for the publishing industry and met with the clients in NY. The client said that they also had lots of needs in Coding and asked if they can do. The team extrapolated the experience in publishing and translated that in Legal and began building an experience in Legal Coding. Partap, after the first deal thought that this was what he wanted and stopped selling after that. Even though, he got three or four clients by reference that gave small orders, the entire team of 25 people got into the project mode.. Partap realized that he has to focus and get back to selling when the first project was going to be over. They got a data transcription business but could not support the project because of the bad connectivity in Chandigarh. Hence, they gave the business to some other company in Bangalore for executing this, but got the other business from the client. In 1994, the team adopted a way of getting references and then meeting someone and the sales consultant also kept giving the leads and he added 2 more sales consultants and began building the sales pipeline. Partap said that one area that he should have done better is to have set up the base of the company in the US. It was very difficult for him to be here, travel & sell in the other markets and come back to Chandigarh to scale the operations. Keep talking to your customers. First know who your customers are, listen to them and keep talking to them continuously. IDS has grown to more than 1000 people over the last 26 years. They have over 40 mid size and large customers (10 Fortune customers). They won the best software export company award by STPI India last year. Partap won the best entrepreneur award by Punjab University. Partap has played leading roles in Nasscom, CII, TiE in Delhi and Punjab region. They are still bootstrapped.